Relaunching the Event: It’s Back! After winning the local competitions, organised by the Cat dealers, the finalists were invited to the Grand Final in Leicester (UK). 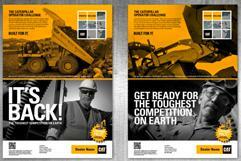 The event took place at the Caterpillar Visitor and Training Center and in a real customer quarry. The operators were put through a series of eight rigorous challenges that tested speed, accuracy and safety awareness. 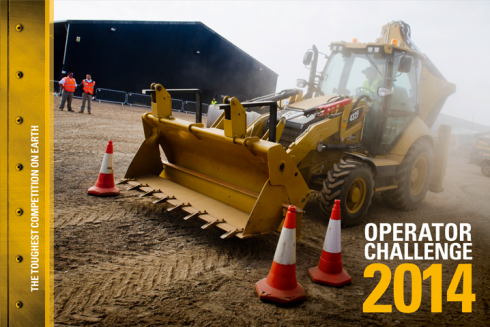 Not only were the live competitions an opportunity to demonstrate precision and reinforce the importance of well-trained operators, they were also a chance to showcase the most advanced Cat machines and technology in action. Besides producing all promotional materials for the event, we also reported on the event and followed the operators, their supporters and Cat dealers. We captured the highlights in daily videos, which were placed on Facebook and YouTube. Curious? 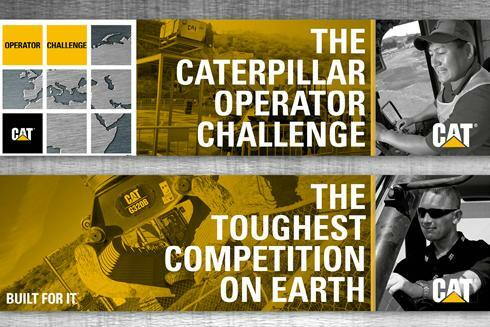 Watch the video of the Caterpillar Operator Challenge!